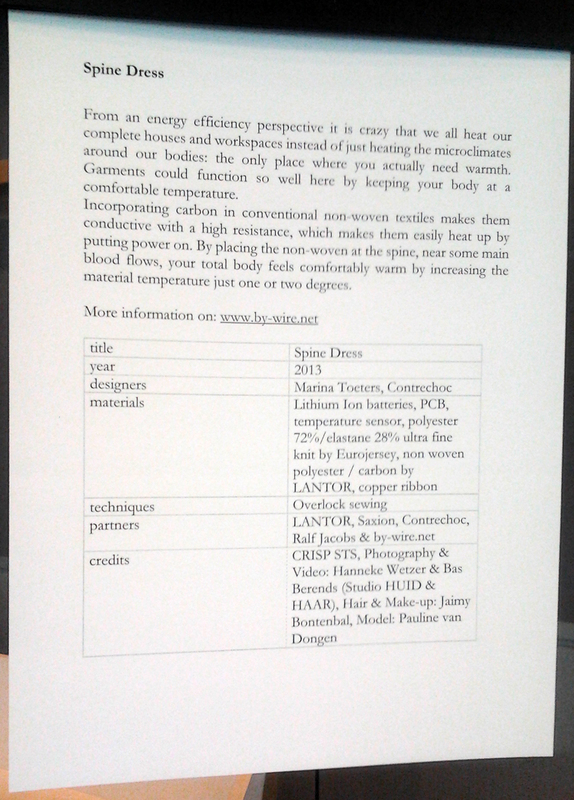 During an expert meeting in the Textile Museum Tilburg, there was a presentation of CRISP. 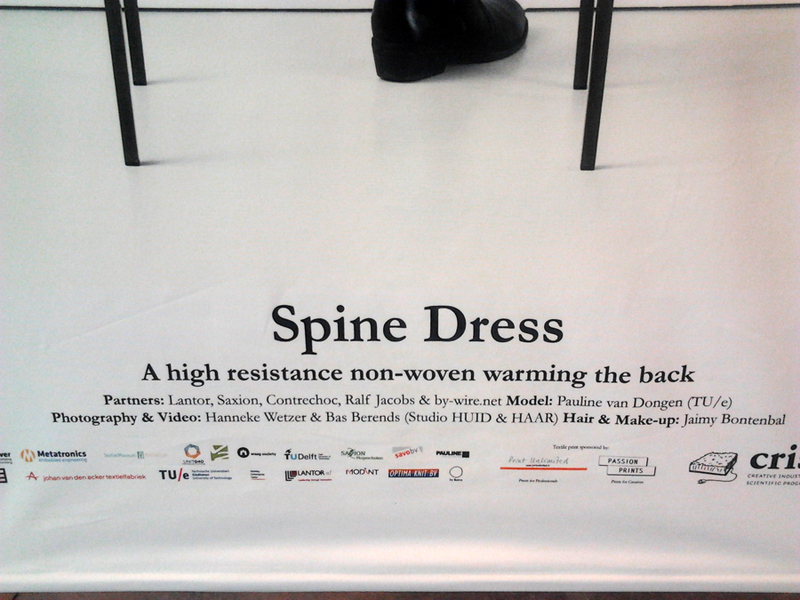 One of the posters was about the Spine warming Dress. 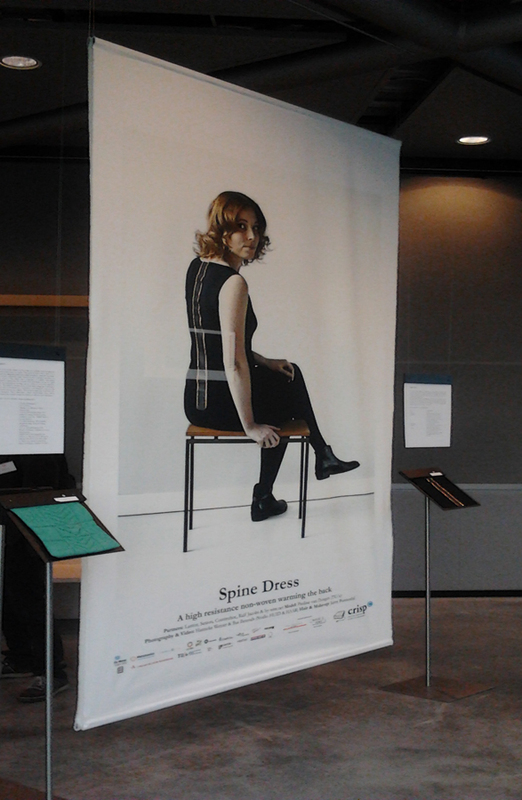 Marina Toeters designed this dress and Contrechoc did the circuitry.